Personally I love this necklace. 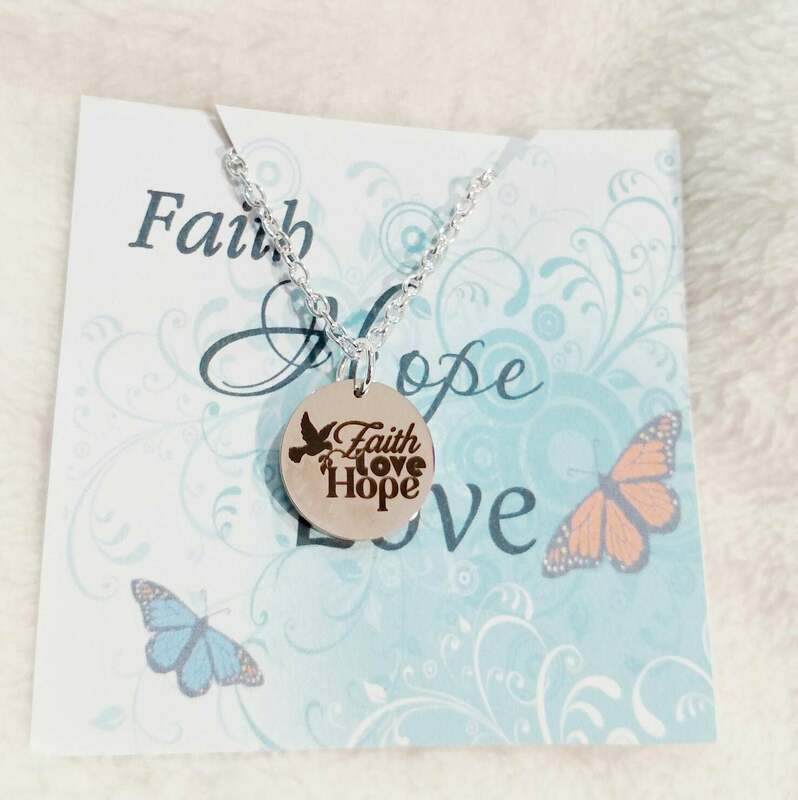 I love the charm and the saying Faith Hope and Love. Is there anything better in the world? So whatever your beliefs, I think this is a very special necklace for anyone! 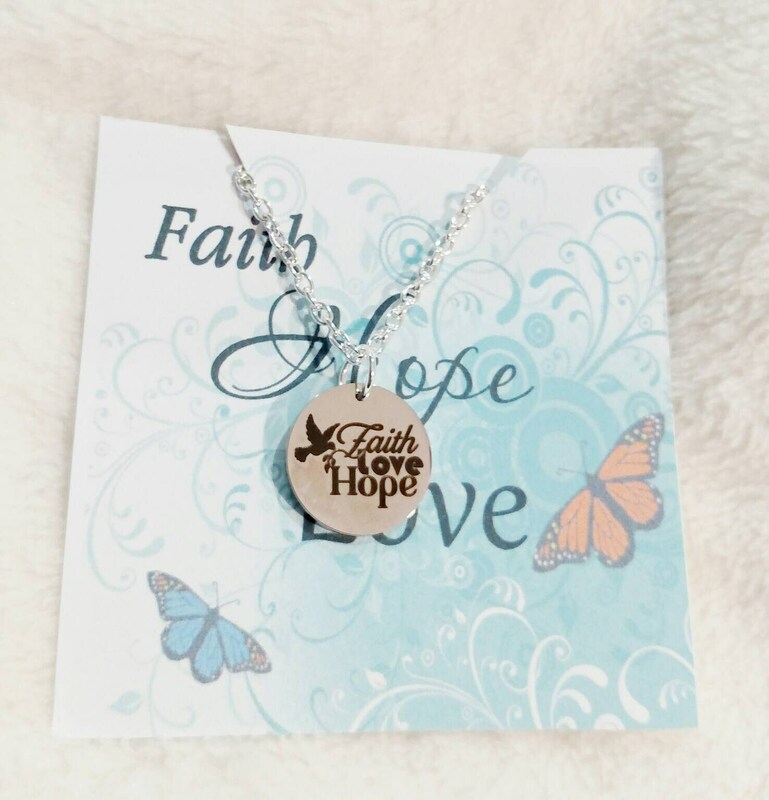 Its a great gift for Mom, for baptisms, for confirmations. Or just for an inspirational gift! Its sure to be a favorite!!! 18 inch chain silver coated. Stainless steel charms. Ships worldwide. Customers are responsible for custom fees. Please feel free to convo me with any questions! !